We frequently find ourselves recommending hypnotherapy resources to our clients, and the books below are amongst the most popular. Although pre-recorded audio may not be as effective as individual hypnotherapy, it can serve as a cost-effective introduction and may be helpful for some peoples’s needs. We can recommend these excellent resources, produced by Roger Elliot, Mark Tyrell and associates. 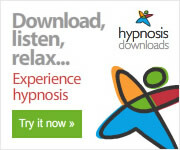 As well as listening from your computer, you can copy your hypnosis MP3 audio onto CD, MP3 player, DVD or tape. Just click on the banner below to access a wide range of downloads. 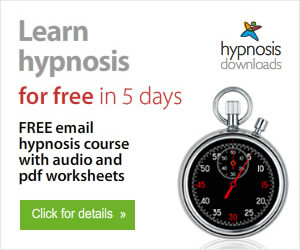 Hypnosis Downloads also offer a Free “Learn Hypnosis in 5 Days” professionally created course. The course includes 5 email lessons, 5 audio sessions together with a downloadable worksheet. If you would like to discover how Hypnosis may be of value to you, then this free course provides an introduction to the benefits of Hypnosis and how it can help you in your daily life. When you enter your details below you will receive the first lesson of the free hypnosis course and the current issue of ‘Inspired Minds’ newsletter. Hypnosis course instalments are sent to you every 2 days to give you time to listen to the audio files and read through the notes and complete the hypnosis exercises. Once a month in Inspired Minds, you will get information on hypnosis, and a free ‘Audio Insights’ – mp3 download on hypnosis. The privacy statement and practices of hypnosisdownloads.com have been reviewed by TRUSTe for compliance with their strict program requirements.